Finding the right baby crib mattress is fundamental for your baby’s sleeping habits and overall comfort. Bed time is an important time, so be sure to spend a little extra money on a mattress that provides all the same quality features of adult mattresses. One key element is finding a mattress that is easy to clean and maintain. This means looking for a waterproof mattress that is stain-resistant and can be flipped over when needed. Finding the right mattress is particularly important if you’re considering having more than one child and you’d like to pass the mattress down from child to child. A mattress that maintains its firmness over the years it worth its weight in gold. You absolutely need to find one that is flame resistant without the use of harsh flame retardant chemicals. Ultimately it comes down to comfort and safety, and you should be able to find something within your budget that accomplishes this. 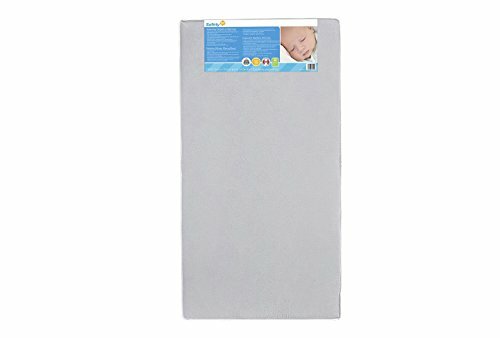 This crib mattress features a hospital-grade waterproof cover so that it’s easy to wipe away liquids in a moment. Stains will not cling to this mattress, making it one of the most sanitary sleeping surfaces that you can find for your child. There are 4 cushioned layers within for the ultimate in comfort, with 220 adult-grade PostureTech coils for the ultimate in orthopedic posture support. Experience a lifetime of durability and comfort. This mattress will stand the test of time, making it a great option if you plan to have more than one child and would like to use the same mattress for years to come. GreenGuard Gold Certified, this mattress contributes to a healthier indoor environment and passes all flammability tests without the need for dangerous flame retardants. When it comes to the comfort of your baby, no expense is too much. Luckily this mat-tress is affordable, while also being incredibly cozy. 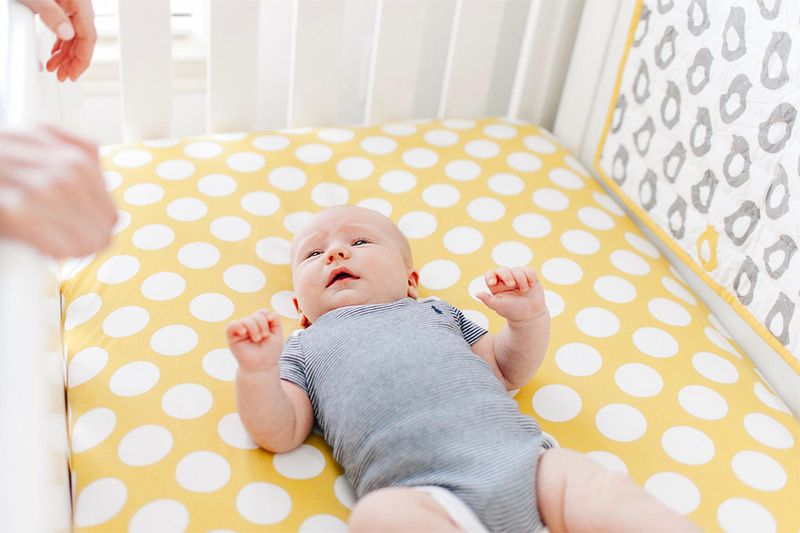 The mattress is designed to help your baby sleep well, and it’s also the safest in its class. The dual sided sleeping sur-face allows you to turn the mattress around when you need to, and it provides the right level of firmness to encourage your baby to sleep. As the child grows, they need a mat-tress that stays comfortable, and this one is designed to maintain its firmness. This de-sign has all the same amazing features as the others of the Starlight Support line, such as being PVC and vinyl free, with medical grade foam and internal fire barrier. They are simple in shape, with clean lines and quality ticking. All in all, this is a fantastic option if you’re looking for a mattress that is comfortable, affordable, and ideal for your baby’s sleeping habits. This Safety 1st Heavenly Dreams white crib mattress is incredibly firm, waterproof, and lightweight for the ultimate in comfort and durability. The vinyl sleeping surface is com-pletely hypoallergenic and free of harmful lead or phthalates. The cover is wonderfully sturdy and is tear resistant, so you can be guaranteed that it’s going to last for years to come. Experience the ultimate resistance against stains and odors, and choose an op-tion that is easy to clean and maintain for years to come. 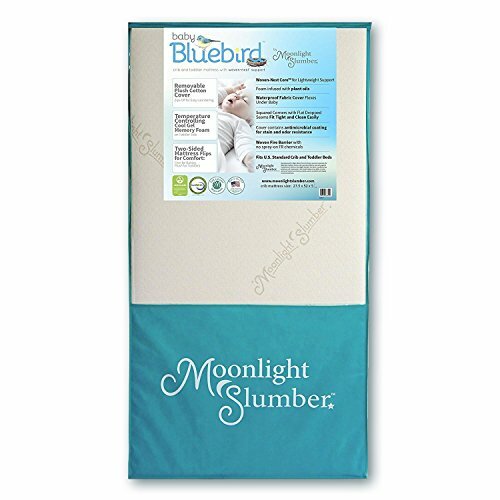 The thermo-bonded fiber cov-er maintains its firmness so your baby has support night after night. 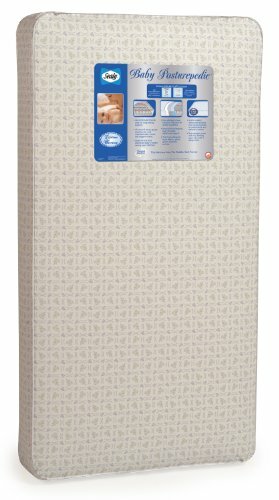 This mattress will fit easily into any standard size crib, and contains no potentially harmful chemicals or substances. If you’re looking to give your baby all the comfort they need without a huge price tag, then this might be the perfect mattress for you.